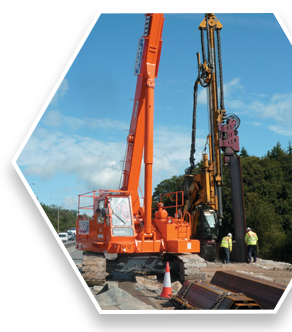 King Sheet Piling (KSP®) can be used for any retaining wall where the pile section chosen is governed by driveability and hence surplus structural capacity is available in bending. Shear is not normally a controlling factor. 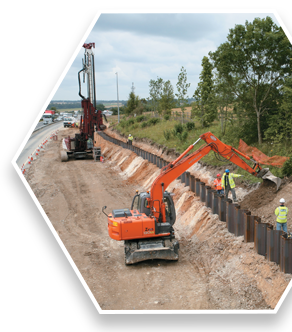 KSP walls can normally replace cantilever sheet pile walls, up to 4m high, sized for driving in typical UK soils. In low retained height walls in soft ground requiring only a light section, there may still be sufficient spare capacity for savings to be made using the KSP approach. Retaining walls designed in reinforced concrete may be more economical as KSP walls. The EA often impose restrictions on retaining walls by stipulating that the wall should not impede groundwater flow across the line of a wall. KSP is ideal for satisfying this requirement. Constructing a KSP wall along the line of a pre-formed cement-bentonite cut-off wall. Using a purpose-made mandrel to form a thin Vib-Wall type cut-off (see Technical Download for more detail). 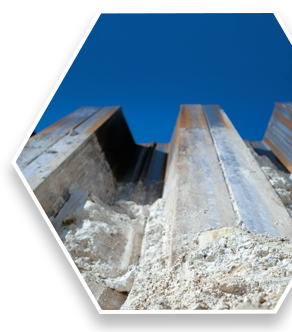 KSP walls are ideal for flood protection or beach erosion walls in ground where there is not a problem of significant seepage flow beneath the intermediates. KSP can produce an economical and rapidly installed flood protection wall in these circumstances. Potential concerns over erosion or scour to beneath the intermediates are easily satisfied (see Technical Guidance download). 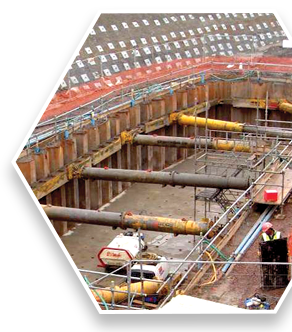 KSP can be used as combined temporary works and permanent works support for culverts in compressible alluvium. Propped or tied-back KSP walls provide the temporary support during construction. Shear studs or equivalent are welded to the kings to transfer net vertical load from the reinforced concrete culvert to the kings, avoiding the need to pile the culvert. KSP walls for the permanent side walls with a roof slab bearing on the walls and either a stone mattress bed or a lightly reinforced concrete bed . 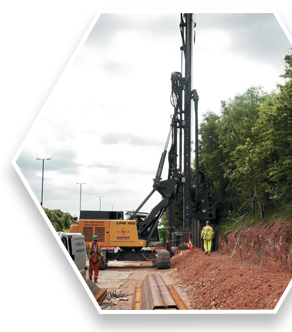 Support for large pipelines through compressible alluvium with the KSP providing temporary support for the trench and the pipe hung off the kings. 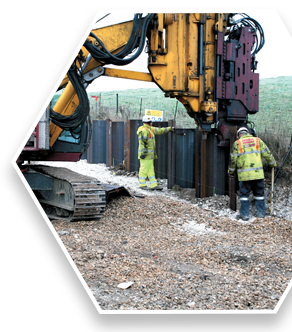 Basements, underground car parks or pumping stations that can be sheet piled are ideally suited to KSP, particularly where vibration-free pressing is used as this typically requires use of larger sections. The intermediates can extend to just below basement slab formation level with the KSP wall functioning as the permanent wall, with clutches welded for water-tightness. Alternatively, the intermediates can be taken down sufficiently to form a cut-off into low permeability strata, e.g. London Clay beneath Terrace Gravels. 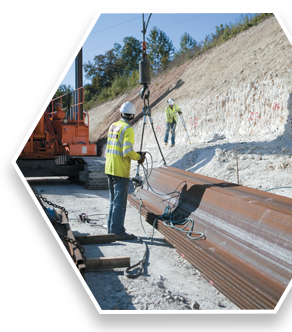 Other forms of permanent support can be provided for the clay between the kings and a false wall and seepage collection provided, as is often done with secant pile walls. 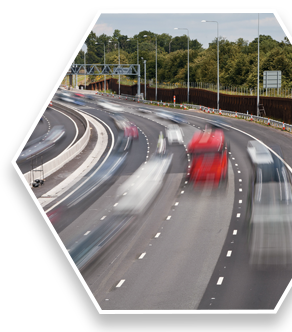 The greatly enhanced speed of installation is a major benefit in forming retaining walls for existing infrastructure in constrained working conditions. This especially applies to the rail environment, where possession time is crucial. 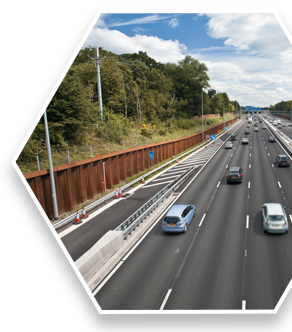 KSP walls for bridge abutments form an economic alternative to traditional abutments when cost, simplicity and speed of installation are taken into account.